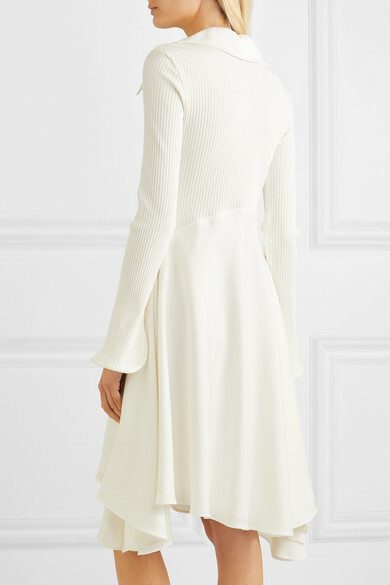 Ellery's dress is made from ribbed-knit and cady, and the contrast of the two fabrics creates such a flattering silhouette. This piece has an exaggerated collar and cuffs and curved seams at the waist so that the skirt fans out and drapes in a really elegant way. 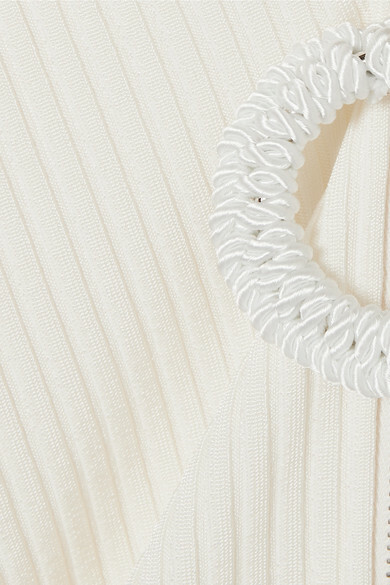 Wear it with circular earrings to match the signature macramé-wrapped disk that hangs from the zip. Shown here with: The Row Shoulder bag, Ellery Sandals, Ellery Earrings.